Baltray ace Ward lost 4 and 2 to Lee Valley's Keith Crowley with the Castle's Lernihan ousted 2 and 1 by Mallow's David Finn. Curley lost to Castletroy's Eamonn Haugh 2 down with Hogan was also beaten on the 18th by Laytown and Bettystown's Robert Cannon. Headfort's Rory McNamara, a member of the Irish international panel, lost to Cork's Gary O'Flaherty on the sixth tie hole of an epic battle. Irish Close champion Pat Murray of Limerick, now the favourite to take the title, faces the in-form James Fox of Portmarnock in the last 16 with the winner of that one taking on Lee Valley's Sean Barry or Brendan Walton, nephew of Ryder Cup hero Philip. P Murray bt P Sheehan 1up. Defending champion Niall Kearney survived a shock when he was taken to the 20th by Cork's Alan Harrington in the second round of the South of Ireland Amateur Open Championship at Lahinch. Niall KearneyThe Dubliner, who is hoping to be named in the Great Britain and Ireland Walker Cup side next weekend, will face Lucan's Richard O’Donovan in Monday's third round. There were no major casualties over the weekend with 2006 champion Simon Ward, another Walker Cup hopeful, giving Kilkenny butcher Graham Nugent the chop by 3 and 2. Laytown and Bettystown's Robbie Cannon cruised into the last four of the South of Ireland at Lahinch. Robbie CannonThe Dubliner beat Malahide's Gavin O'Connor 2 and 1 to set up the possibility of major celebrations at the Co Meath club in its centenary year. Murray, 38, is trying to complete a remarkable double after claiming his maiden title with victory in the Irish Amateur Close at Enniscrone last month. (8:45) Gary O’Flaherty v Pat Murray. 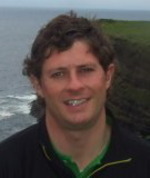 Limerick's Pat Murray remained on course for a famous double in the South of Ireland Amateur Open at Lahinch today. The 38-year old captured his first amateur "major" when he lifted the Irish Amateur Close title at Enniscrone last month. Now he is just three matches away from adding the "South" to his list of achievements after a hard-fought 1 up win over Portmarnock's James Fox set up a quarter-final meeting with Lee Valley's Sean Barry this afternoon. Athlone’s Kelan McDonagh will meet Irish Close champion Dara Lernihan in the first of this afternoon’s quarter-finals in the South of Ireland Championship at Lahinch.